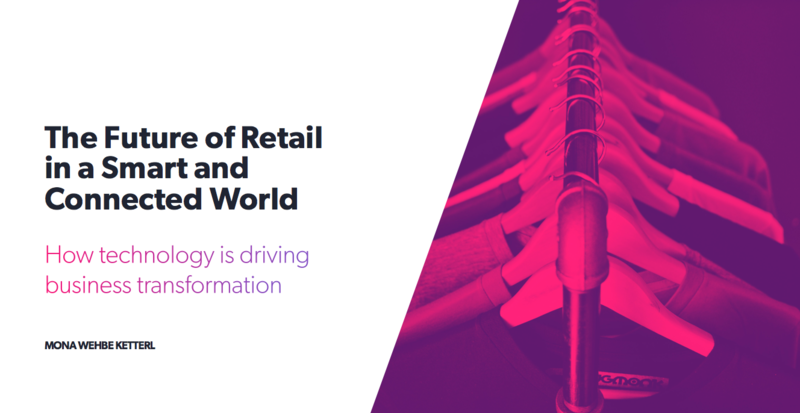 Digital transformation is one of the most important topics facing retail today, as demand for digital innovation and market share increase at a rapid pace. Digital consumers are changing the face of retail, putting pressure on brands to adapt to this transformation. A recent study shares that £150bn of retail sales are now influenced by digital, and that retailers whose services don’t meet customers’ expectations could lose more than £12bn a year. I'll be in Munich on July 5-6 at the Digital Signage Summit in Munich to share the stage with my peers at Vectorform. We'll talk about the future of retail in a smart and connected world and the important role technology is playing in driving a necessary digital transformation in the retail industry. We will share insight into how you can innovate today, optimize the customer experience and transform your brand through the latest technologies in mobile, IoT, voice user interfaces and immersive reality. I hope to see my friends in the retail industry there next month! Digital Signage Summit Europe is Europe’s leading strategy conference and exhibition for the Digital Signage and DooH industry. Learn more and register today. Vectorform invents digital products and experiences for the world’s leading brands, with a focus on Mobile, Augmented, Virtual, and Mixed Reality, Internet of Things, Smart Home, Connected Vehicle and Wearable Technology. Founded in 1999, Vectorform has five global offices: Seattle, Detroit, New York, Munich and Hyderabad. Visit Vectorform.com and connect on Facebook, Twitter, LinkedIn, and Google+. #truMunich, the recruiting “unconference”, is part of a global series. There are no presentations, no pitching, and no name tags. They are designed to encourage conversation and debate between people with shared interests and challenges in recruitment. Below are four key themes that stood out during the event. Workplace transformation. Smart technologies. Team mobility. Social recruitment. These were all key themes at #truMunich, the recruiting “unconference” where I recently led a track on the future of work in a smart and connected world. The event is part of a global series led by HR tech and recruiting leader, Bill Boorman (literal hat tip), where there’s no presentations, no pitching, and no name tags. They are designed to encourage conversation and debate between people with shared interests and challenges in recruitment. With all the exciting debates in the various tracks, here are four key themes that stood out during #truMunich. The global mobile workforce is set to increase from 1.45 billion in 2016, to 1.87 billion in 2022, according to Strategy Analytics’ latest report, “Global Mobile Workforce Forecast Update.” Over the past decade, a growing number of millennial workers, primarily from the U.S. and Europe, have leveraged technology to work remotely. Furthermore, the World Economic Forum shares that flexibility in the workplace is a key driver of transformation within the workplace. Employee engagment is a complicated topic that has stymied leaders for decades and spawned a sea of research into engagement and change management techniques. Still, 70% of transformations – along with the revenue and profits they could have yielded – fall by the wayside. Perhaps not coincidentally, 70% of employees do not consider themselves engaged at work. It seems traditional change methods may have met their match in the disengaged modern employee. Engaging employees with gamification at an enterprise level may be the long awaited answer to motivating and connecting employees in an increasingly global and mobile workforce environment. The value of gamification was universally understood at #truMunich. The challenge is how to operationalize this successfully, with limited internal resources, time constraints, and competing priorities. Leveraging an eco-system of partners to close the innovation-execution gap can be a key accelerator in developing next generation employee engagement tools that drive business forward. Smart offices, also known as responsive or digital workplaces where technology is used to make our physical work space “smart” and adaptable to company workflows, are on the rise. We understand that smart technologies are transforming the way we live, work, and play. Gartner Research predicts there will be 25 billion IoT-enabled devices by 2020, and by 2022, a typical family home could contain more than 500 smart devices. But what does this mean for the future of the office? Steelcase recently delivered a use case at Munich Creative Business Week on the seismic changes we will see during the next decade in the way we work, and the places we choose to work. Embracing the new interactive, smart, and connected office can help make companies more intelligent. The future vision of a smart office is promising, and has potential to improve both the employee experience and corporate profitability. Thanks to our hosts at CareerBuilder and Broad Bean, it was an exciting opportunity to connect with industry peers, technology providers, and HR pros on the future of work and the technologies that will disrupt and transform business across the U.S. and Europe. Europe’s readiness to connect in a ”smart” way is on a steady track. Change is coming fast, and for most leaders, transformation is serious business – essential to driving growth and achieving an edge in a hyper competitive marketplace. 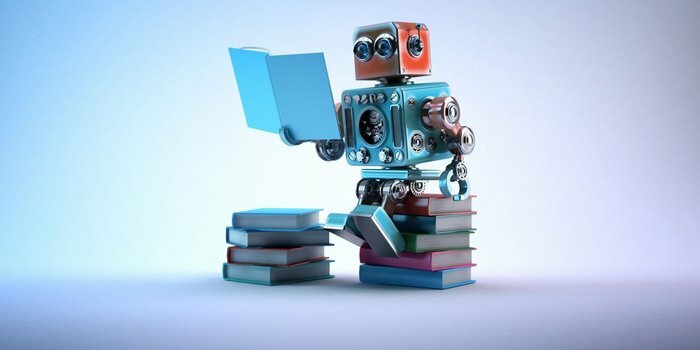 Leaders are starting to examine their talent needs more holistically, and understand that technology must play an increased role to ensure better collaboration and management of this new and distributed global workforce. Vectorform works with clients to close the innovation-execution gap, allowing them to fully understand and achieve what’s possible. Learn more about how Vectorform is helping transform businesses, homes, and offices to work and succeed in our increasingly “smart” world. Contact us to continue the conversation. I spent my undergraduate years studying the impact of technology on society. For years, I analyzed the musings of William Blake, Donna Haraway, and other post-modern theorists. The Cyborg Manifesto criticized the traditional notions of feminism but also the literal (the juxtaposition of man and machine). I am so excited to take that theory and put it into practice at Vectorform, where our mission is to transform lives through technology. Learn more about what I'll be doing at Vectoform. ​Vectorform invents digital products and experiences for the world’s leading brands with a focus on Mobile, Augmented and Virtual Reality, Internet of Things, Smart Home, Connected Vehicle and Wearable Technology. Founded in 1999, Vectorform has five global offices: Seattle, Detroit, New York, Munich and Hyderabad. Visit Vectorform.com and connect on Facebook, Twitter, LinkedIn, and Google+. Want to improve your professional image? Design your digital profile. On November 15, BBC World reached out to me for an interview on my recent ebooks all around personal branding, and the importance of building your digital profile in your job search. If you read Spanish, or have access to Google Translator, read this article below. It reinforces the importance of having a strong digital portfolio where you can showcase not only your work and personality, but also share your expertise within like-minded communities. What's great to see is this topic starting to be talked about widely in various industries. Whether you're an active job seeker or happy with your current role, its becoming imperative that you build a solid digital profile which helps you communicate your skills and personality to anyone who may come across your name. Just think, how many times YOU have Googled other people or topics specific to your interests or profession. If you have a strong enough network, your profiles will start appearing in those search results, thus further positioning your personal brand and expertise. Read the BBC World article here. Revisit my ebooks on this topic. 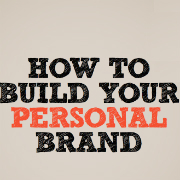 Building your personal brand may sound like the last thing you need to do if you’re happy and challenged in your current job. It may seem irrelevant if you see a career path inside your current organization, or even if you feel confident to rely on your existing networks for future job opportunities. Statistics like this put the importance of personal branding —even when you’re not in job-search mode — in perspective. They remind us why simply waiting until you are about to change jobs may be too late to adequately build or balance your online (and offline) reputation. But, did you know that 70% of employers say they have rejected applicants because of information about them that they have found online1? Whether you work for yourself, for a large organization or a very small one, it’s just smart career management to demonstrate why you’re an expert in your respective domain — and to do this in ways that colleagues and associates can witness every day. Developing your personal brand is now essential to ongoing career development, even if you’re not actively searching for a new job. Today, take control of the biggest brand in your life; the brand called ‘You’. Download the full ebook. We're were in London for #truLondon and TalentNet Live. Day 1 of TalentNetLive went well, as we heard from keynote speaker Lance Richards on his stellar presentation, Talentomics. Check out this recap video!